LONG ISLAND CITY — For future students at Hunters Point Community Middle School, the East River won't just be a neighbor — it'll be part of the curriculum. The new middle school, one of 78 opening in New York City this fall, will have an ecological focus, using the nearby waterfront and surrounding community to engage students in hands-on learning about sustainability and the environment. "We're going to use the very local resources, and city as a whole, to sort of hook kids in," said principal Sarah Goodman. "We're going to use the city and river as much as possible to do that." 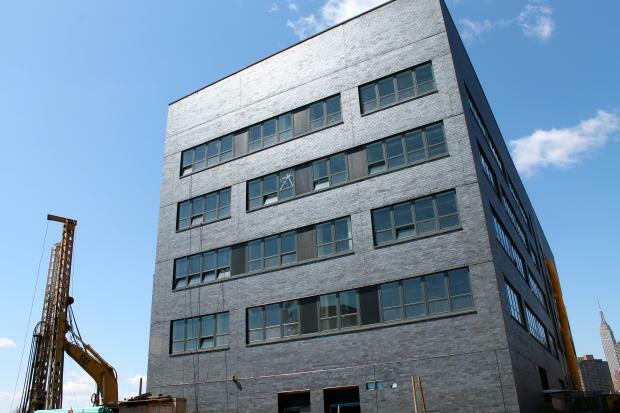 The school will host its first classes of sixth graders in September in a newly constructed building at 1-50 51st Ave., one of the first structures to rise as part of the city's massive Hunters Point South Development. The building will also be home to a special education school, as well as The Academy for Careers in Television and Film, a high school that's relocating from another building in the district. Last year, Community Board 2 asked the Department of Education incorporated the river into the educational mission of the new school, citing the community's desire to reclaim the nearby waterfront after being cut off from it for decades, when Hunters Point was largely a manufacturing zone. "The community was always thinking, hey, it’s a waterfront school, let's do something with an environmental theme to it," said Isaac Carmignani, co-president for District 30's Community Education Council. The new building will boast views of the East River and Manhattan, plus science labs, an auditorium, and music and art classrooms as well as a environmentally-designed building features. "The building in itself is a resource," Goodman said, who said the school is planning many field trips for its students, including frequent walks to the river and activities like water testing. Goodman has experience using the waterfront to teach youngsters: as an undergraduate in environmental studies at Brown University, she wrote her senior thesis on urban river education programs in Rhode Island. In addition to the waterfront element, students will work once a week in small advisory groups, Goodman said, meeting to explore a common interest theme, like the waterfront, the history of Long Island City, or an arts-based topic. The middle school application period ended last month, and Goodman said she's received applications from students from all over district 30. There are currently no middle schools in Hunters Point, where residents have been clamoring for more school seats to meet the needs of a booming population of young families. In addition to Hunters Point Community Middle School, the neighborhood's only elementary school, P.S. 78, will be expanding into a K-8 school starting this September. "The district as a whole is overcrowded, so there's an immediate need right now for additional seats," Goodman said.